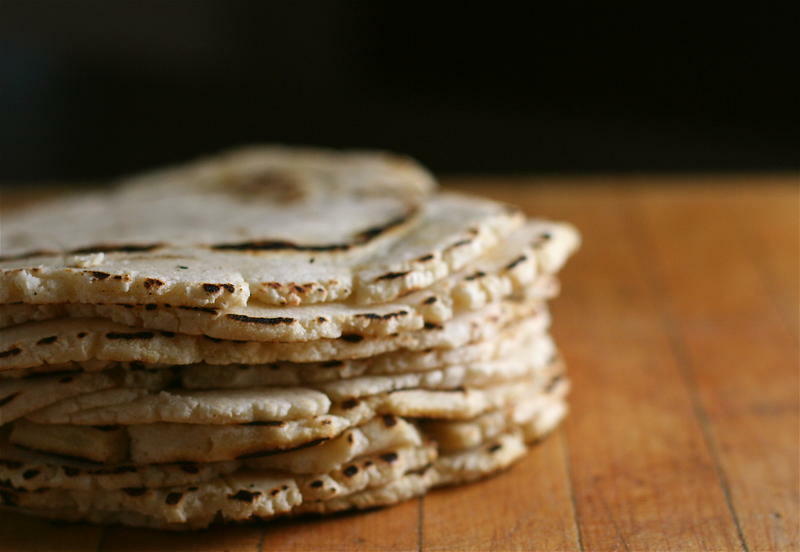 If Folic Acid Stems Certain Birth Defects, Why Isn't Corn Flour Masa Fortified? Tortillas made from corn masa flour move down a conveyer belt at the El Milagro plant in San Marcos, Texas. There's a simple way to protect against severe spinal cord birth defects: You can eat a bowl of cereal. If the cereal was processed in the U.S., it's been fortified with folic acid, and getting about 400 micrograms of folic acid everyday can help prevent those birth defects. Most U.S. cereals have 100 percent of the daily value, but products made from corn masa flour are not fortified, because the Food and Drug Administration doesn’t allow it. Some groups are trying to change this and get corn flour masa included. Dr. R.J. Berry says you can't understate the importance of folic acid. "The story of folic acid is one of the great public health stories ever," says Barry, who works with the Division of Birth Defects and Developmental Disabilities of the Centers for Disease Control in Atlanta. "The truth is that nobody knows how it works. All we know is that it does work," he says. "We know from the highest quality scientific studies, randomized trials that folic acid will prevent neural tube defects." The neural tube is the embryonic part that forms into the brain and spinal cord, so a problem at that developmental stage can obviously cause serious defects like anencephaly, a condition in which the embryo doesn't form a brain. Or the spine defect spina bifida, which can involve paralysis and in some cases, the lifelong need to wear diapers. "Before she’s a twinkle in your eye, that’s when you need to take folic acid, everyday. After that it’s too late to prevent some serious birth defects. Folic acid now. Before you know it," the narration says. Health officials say "before you know" is the key. Half of all pregnancies are unplanned. "Most women by the time they know they’re pregnant, they’ve already passed that critical window," says Dean Appling, a biochemistry professor at the University of Texas at Austin. "And if they had a problem with folic acid, it would be too late at that point to prevent the birth defect." That's why the FDA started requiring folic acid be added to enriched bread, flour, cornmeal, rice, pasta, and other grain products in 1998, but not corn masa. A batch of corn flour masa at El Milagro in San Marcos, Texas. That brings us to the El Milagro plant in San Marcos. Here, tortilla products are made from raw corn. If you take a walk through the bays where the corn masa flour, tortillas, tostadas and chips are made, you’ll hear corn kernels churning out of one of the machines into a big container. This corn gets softened using a process dating back thousands of years. How's it done today? "Lime, essentially, when you add it to water and boil water with corn above 150 degrees, the corn goes through a process called nixtamalization," says El Milagro General Manager Hector Ramirez. 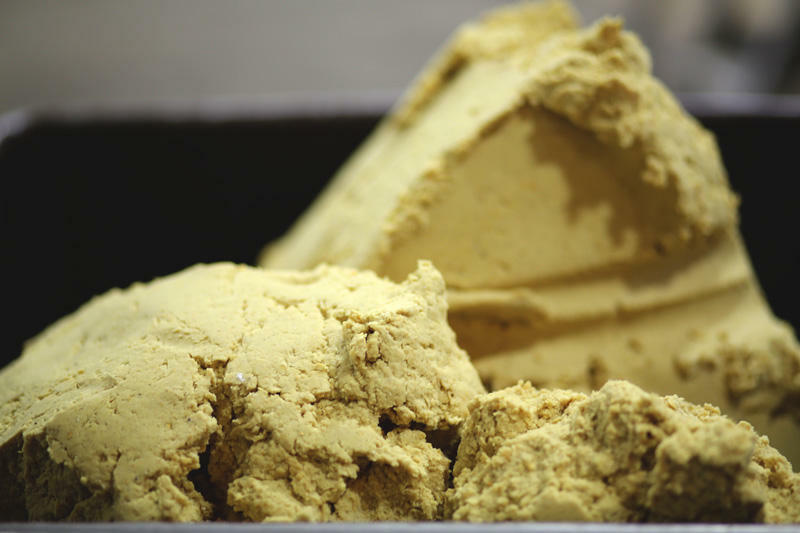 Nixtamalization hails from ancient Mesoamerica — what’s now Mexico and Central America. The lime used at El Milagro comes from limestone. It makes grinding the corn into masa much easier because it softens the kernel. But the process doesn't include adding folic acid. Staff at the El Milagro plant in San Marcos, Texas, place corn flour tortillas on a conveyer belt. Cynthia Pellegrini, senior vice president of public policy and government affairs at the March of Dimes, says the benefits of fortifying foods have not been seen among Latinos since fortification of wheat flour was begun in 1998. "It was thought that part of the reason for that was that these groups just weren’t consuming the same level of wheat flour products. Instead they were consuming corn masa flour products because that was the staple grain in that diet," Pellegrini says. 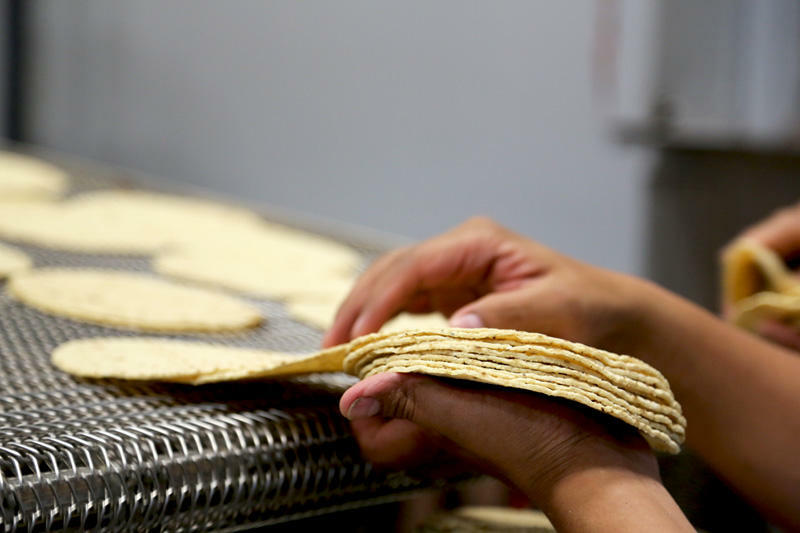 The March of Dimes and groups including National Council of La Raza and Gruma Corporation are in a coalition that want the FDA to set a standard for how much folic acid a manufacturer could add to corn masa. They filed a food additive petition in 2012. According to the March of Dimes, about 3,000 pregnancies in the U.S. still are affected by neural tube defects each year. Hispanics have the highest rate compared to other race or ethnic groups. Latina women are roughly 20 percent more likely to have a baby with a neural tube defect compared to non-Latina white women. The exact cause for this discrepancy isn't known. 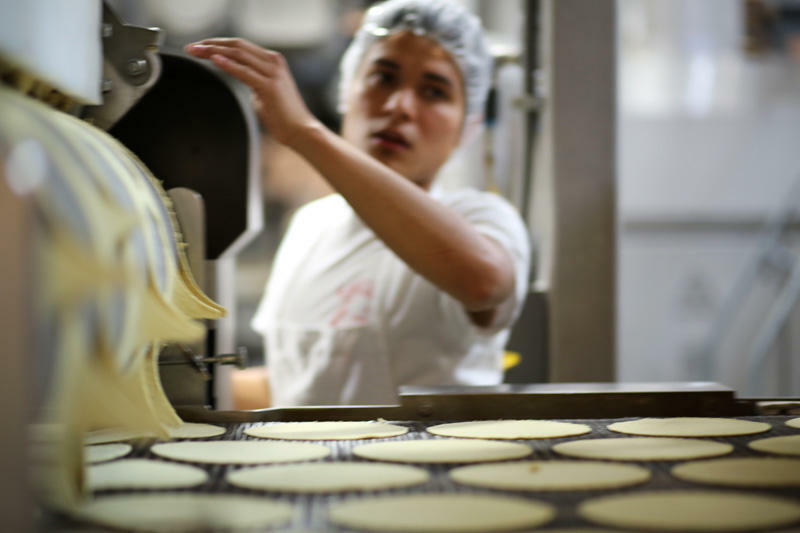 The FDA has responded by asking the petitioning groups to study the stability of folic acid when added to corn flour masa, and whether it could produce an unsafe substance when it breaks down. In October, the FDA received that stability study from the petitioners. They expect to hear from the FDA again in mid-January.